* Hotel Pick-up & drop-off service are available only from the hotels located in the city center. There may be a extra charge for transportations from other locations or airport. Please contact us for charges. Hippodrome: The former center for entertainment, sports and political activities in the city during the Roman and Byzantine Empires. You will be able to see the Obelisk from Egypt, Serpentine Column from Delphi and Fountain of Willhelm II. St.Sophia: The Church of Holy Wisdom, undoubtedly one of the greatest architectural creations in the World used as a mosque during Ottomans and serving as a museum today. Blue Mosque: One of the biggest mosques of Istanbul from 17th century architecture is one of the principal adornments on the skyline of Istanbul. Also famous for its blue tiles and 6 minaret. 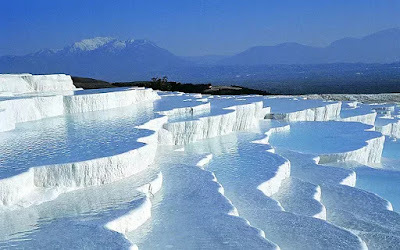 Full day tour with a Boat on Aegean See Relax with a full-day trip to the town of Özdere, a beautiful blend of pristine beach,culture, and sunshine. Meet your driver in the early morning for the transfer to Harbour. The best beach in the Aegean Coast. Learn about the interesting history of the area from the tour leader and visit with the Boat to Thermal spring in Doganbey. All day included Soft drink sand in the Lunch time fish on the gril, salad and spagetti. Highlights A fun day trip to Thermal spring and best coast from Aegean. Explore then arrow, sun on the Boat Upgrade to include a 1.5-hour Thermal Spring All day sun bath on the Boat. voucher info You can represent either a paper or an electronic voucher for this activity. Fullday Tour to Ephesus, Artemis Tempels and Virgin Marry House Take a day out of your Turkey vacation to get acquainted with Ephesus and Artemis Tempels.This exciting day trip to Ephesus includes a steady-paced hike up Antique City Histori and a visit to the Artemis Tempels of Selçuk, plus a 7 Sleepers and atour of the UNESCO-listed digs at Ephesus. Hearthe history froma local guide. Highlights Day trip to AntiqueCity and Artemis Tempels from Ephesus with an expert guide Hike up the side of the Antique City and walk along its ridge, gazing into the Antique City. 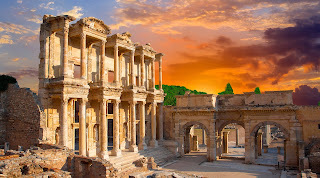 Why Our Insiders Chose This Tour The hike to the Antique City of Ephesus is rewarded by phenomenal views and the guide for the Ephesus tour really brings the ruins to life, is a wonderful break from an active day. 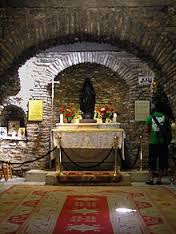 Virgin Marry House The House of the Virgin Mary is a Catholic and Muslim shrine located on Mt. 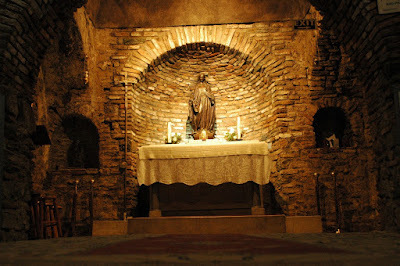 Koressos in the vicinity of Ephesus, 7 kilometres (4.3 mi) from Selçuk in Turkey. Adaland aqua park - boat trip - quad safari - jeep safari - horse safari, you can make reservation on web site. most active ports of the Ionian Federation. yacht will cruise Ekincik Bay, breakfast will be served here.